Working with fur requires years of experience. 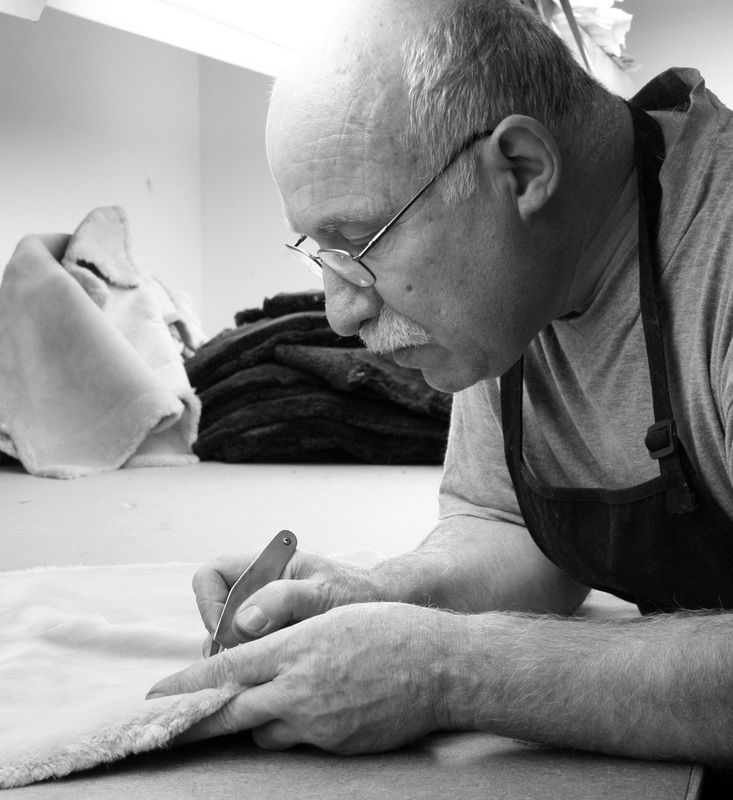 In Montreal, skilled artisan George Pavlou, of atelier Noble Furs, uses a furrier's knife to cut fur pelts to fit a pattern on his blocking board. Photo: Claire Beaugrand-Champagne, 2007.